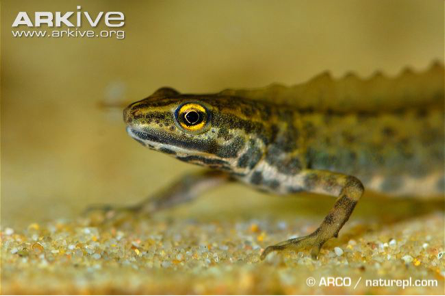 Smooth newts are olive green or pale brown with a bright orange, black spotted underside. In the breeding season males develop a wavy crest from their heads to their tails. The disappearance of many wetlands, like Ditton Meadows, has taken its toll on wetland wildlife like newtThey are protected in the UK under the Wildlife and Countryside Act, 1981.